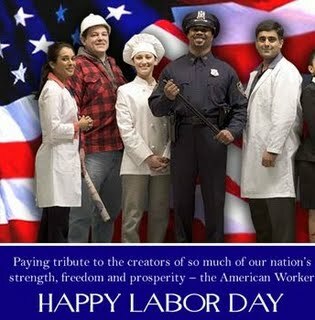 This past Friday, I sent an email out to all subscribers of BelvidereChiropractic.com informing them of a Labor Day Special that we are running until September 2nd. If you missed it, then you’re probably not on our free email newsletter list. I encourage you to sign up today. So, since you’re a reader of BelvidereChiropractic.com too, we’ve decided to reward you for your loyalty as well. By offering you and your loved ones, a consultation, exam and any necessary x-rays (a $210 value), for only $30! during the week of August 29th through September 2nd. Mention “The Labor Day Special Post” when you call us at (908)475-2933 during regular office hours to book your appointment during the week of August 29th through September 2nd. This is a first come first serve basis to the first 30 appointments and expires on September 2nd so don’t delay! Call Now or you will miss out on this is a great opportunity to find out if Chiropractic care can help you. Dr. Jon P Heins, Kimberly, Lauren, Matthew, Megan, and Taylar. Oh yes, it’s almost Labor Day! This is a really great special you are offering, good luck! Dr. Spinato: Thanks for the comment and the encouragement! It is a pleasure to offer these 30 special gifts to those who were in need of care to find out if we can them.